The international shipping company specializing in the ownership of dry-bulk vessels Castor Maritime announced that, through a wholly-owned subsidiary, it has entered into a time charter contract with Oldendorff Carriers GMBH & Co KG Luebeck for its Panamax vessel Magic P.The owners of a dry bulk vessels said in a press release that the gross charter rate is US$ 11,250 per day, for a period of a minimum of five months up to a maximum of about eight months (for the first 30 days period the daily gross rate is US$ 9,000). 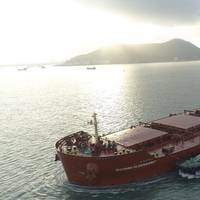 In effort to upgrade the fleet, 2019 started with the delivery of five new eco-ships delivered to Oldendorff Carriers, four of which were delivered on the same day. In trying to reduce the environmental impact and these new (fuel-efficient) vessels will reduce fuel consumption for transporting cargo and consequently reduce the carbon footprint.M/V “Jan Oldendorff”, M/V “John Oldendorff”” and M/V “Julius Oldendorff”” were delivered from the building yard Nantong Cosco KHI Ship Engineering Co., Ltd in Nantong, PRC. 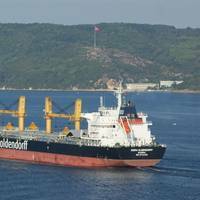 Dry bulk shipping firm Oldendorff Carriers said that the bulk carrier newbuilding MV “Christiane Oldendorff” (charter name “Midland Trader”) of 36,000 tdw will be delivered around the turn of the year. The ship is built at Samjin Shipbuilding Industries Co Ltd at Weihai, Shandong.The German company which ships and tranships over to 300 million tons of bulk cargo every year said in a note that a sister ship, MV “Christopher Oldendorff” (charter name “Hansa Baltic”) is expected to start trading in April 2019. 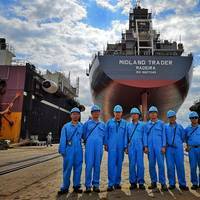 "We originally ordered them in June 2012 at the then Korean controlled yard. The Oldendorff Carriers vessel Erna Oldendorff struck the Oshima bridge on its way to Etajima, Japan on Monday, October 22.A press notification from the dry bulk shipping company said that no people were hurt and there are no reports of pollution at this time.Immediately after the incident Oldendorff Carriers informed all relevant authorities and parties.The vessel is following instructions of the Japanese Coast Guard and has moved to a safe anchorage.The cause of the accident is still unknown. 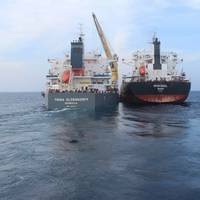 German shipping company Oldendorff Carriers has conducted a new transshipment operation of coal between two vessels, in the deep, protected water of the Andaman Islands within the Bay of Bengal, India. The Andaman Islands are an Indian archipelago in the Bay of Bengal. There are roughly 300 islands, which are known for their palm-lined, white-sand beaches, mangroves and tropical rainforests. However, it was the deep and protected water that attracted Oldendorff Carriers to the Andaman Islands. 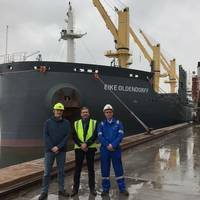 Oldendorff Carriers has recently increased the number of owned bulk carriers in it Babycape segment by acquiring four more eco 119,000 tonners from compatriot shipowner Hartmann Reederei. The vessels are: MV UBC Ottawa (tbrn: Roland Oldendorff), MV UBC Odessa (tbrn: Rex Oldendorff), MV UBC Olimbus (tbrn: Redmer Oldendorff) and MV UBC Oristano (tbrn: Rik Oldendorff). These ships were built for Hartmann at Sinopacific Shipbuilding in 2011. The acquisitions will increase our total operated Babycape fleet to around 36 units, of which 10 will be fully owned. 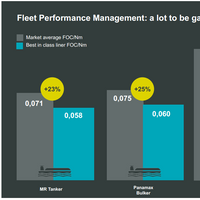 Fleet Performance Management (FPM) can drive efficiency improvements of up to 38 percent, but many ship owners and operators are finding that FPM is costing, rather than saving them money. The expectation that once you plug and play an FPM system the savings will be immediate, has set a precedent that in real terms, is simply unachievable. Peter Mantel, Managing Director of BMT SMART, a subsidiary of BMT Group, argues that FPM is a marathon, not a sprint and long-term collaboration is required to ensure a return on their investment. 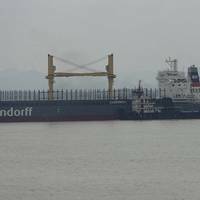 Oldendorff Carriers has appointed Verifavia to verify its fleet of vessels in line with the European Union’s Monitoring, Reporting, and Verification (EU MRV) regulation. Oldendorff Carriers is one of the world’s leading Owner/Operators of dry bulk carriers and Verifavia is the world’s leading emissions verification company for the transport sector (aviation and shipping). 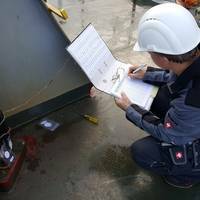 Verifavia Shipping will provide EU MRV services to Oldendorff, including the assessment of monitoring plans and verification of carbon emission reports according to the ISO 14065 standard and regulation 757/2015. Oldendorff Carriers and BMT SMART, a subsidiary of BMT Group, announce a new agreement which has led to the roll out of fleet performance management technology onboard Oldendorff vessels. 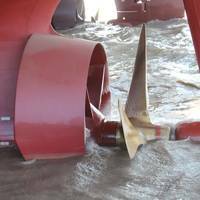 Based on BMT’s on board data collection system and bespoke shore based management solution SMARTFLEET, this collaboration is centered upon driving down the carbon footprint of each vessel and improving the overall efficiency of the fleet. Christopher Fee, Projects Manager at Oldendorff Carriers, commented, “Oldendorff recognized the potential benefits of implementing fleet and vessel performance monitoring. 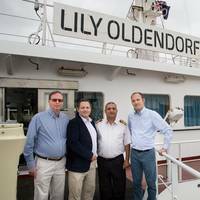 Lubeck headquartered dry bulk shipping company Oldendorff Carriers said it plans to open an office in the maritime cluster in Hellerup, Denmark by June 2017. 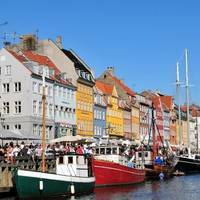 The new office just north of Copenhagen will be headed by Oldendorff Executive & Board Director Jens Jacobsen, who will lead a team initially consisting of eight to 10 people. The company intends to relocate a number of people to the new location but will also look to draw on the dry bulk shipping pool of talent in Scandinavia for further expansion. 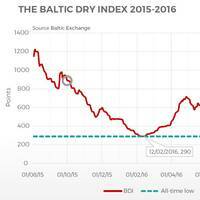 In the last month, we have seen the Baltic Dry Index (BDI) recover to the same level it was 12 months ago (see circles in fig.1). Vessel values have started to firm, but not at the same rate and are still at historically low levels. In the last 12 months, contrarian owners have taken advantage of the low values and have been buying cheap tonnage. With hindsight, this looks to have paid off with many values having increased above the purchase price. 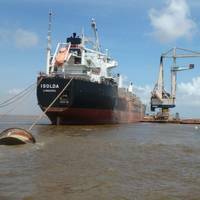 This article takes a look at which dry bulk owners have been buying the most in the last year. Owners asking $1 per tonne more on Australia-China rates; Panamax rates climb to two-month high, but remain under pressure. 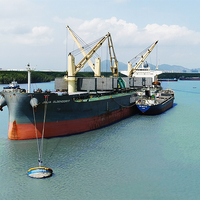 Freight rates for large capesize dry cargo ships on key Asian routes could continue to firm next week on higher cargo volumes and bunker prices, while upbeat shipowner sentiment will also support the market, ship brokers said. "The market is pushing up a little bit. 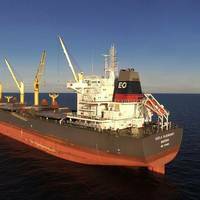 Owners' ideas though are even higher - they are indicating about $1 per tonne more on rates from eastern Australia," a Shanghai-based capesize ship broker said on Thursday. Flurry of cargo fixtures push Australia, Brazil rates to highest since December. Freight rates for large capesize dry cargo ships on key Asian routes are likely to hold steady next week near four-month highs if owners continue to reactivate idle tonnage on upbeat cargo demand, ship brokers said on Thursday. 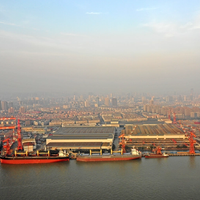 "If more idled ships are put back into the market there may not be the support from cargo demand to push rates up any further," said a Shanghai-based capesize ship broker. "Rates from Western Australia to China are still below $4 per tonne. The International Bunker Industry Association (IBIA) has appointed three new members to its Management Board and one new member to the IBIA in Africa Board. 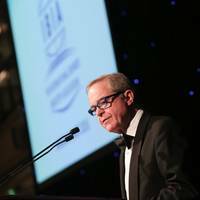 The appointments were announced at the Association’s 23th annual dinner, which was held on February 8 at the Grosvenor House Hotel, Park Lane, London. Heralding the beginning of International Petroleum week, the prestigious event attracted a record number of attendees, with over 1100 bunker industry professionals at the dinner, despite the gloomy state of the industry. Last night in Hamburg, BIMCO President Philippe Louis-Dreyfus chose to give public recognition to all seafarers who have been – and still are – involved in rescuing people in distress at sea. Mr. Louis-Dreyfus awarded the BIMCO President’s Award to Columbia Shipmanagement Hamburg, for their “outstanding” work in rescue operations involving migrant boats in the Mediterranean. He asked Captain Horber from Columbia Shipmanagement to accept the award on behalf of their crews, but also on behalf of all seafarers who risk their lives in rescue operations. 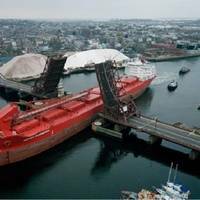 Rates for capesize bulk carriers, which climbed to their highest since at least January on Wednesday, are likely to remain steady next week on tighter tonnage supply, ship brokers said. That comes as charterers could hold back cargoes to cool this week's rise in freight rates, a Singapore-based capesize broker said on Thursday. "The capesize market is quite tight for June-loading dates. "Capesize rates from Brazil and South Africa and for transatlantic voyages are still pushing up. There's been quite a lot of activity this week," the broker said. There have been more than 40 capesize fixtures since May 7, according to Reuters chartering data with multiple charters arranged by miners, including Vale and BHP Billiton, and operators such as Germany's Oldendorff Carriers.